Rodama: a blog of 18th century & Revolutionary French trivia: Chaulieu, Voltaire and "the Temple"
Part drinking club, part haven for Epicurean poets, the "Society of the Temple" occupies a largely forgotten place in the history of ideas between the 17th century précieux and freethinkers and the 18th-century Enlightenment. The society owed its existence to a jurisdictional anomaly. 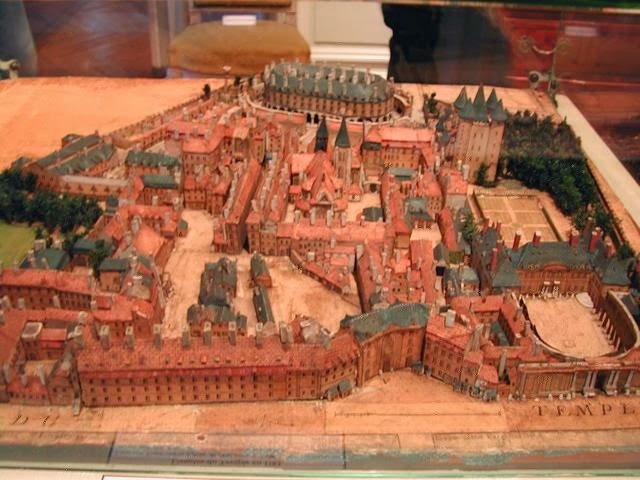 Originally a late twelfth-century fortified lodge belonging to the Knights Templar, the enclos du Temple had been taken over by the Knights of St. John of Malta, demolished (apart from its famous Keep) and graced in 1667 with a beautiful residence by the grand Prior of the order, Philippe de Vendôme. 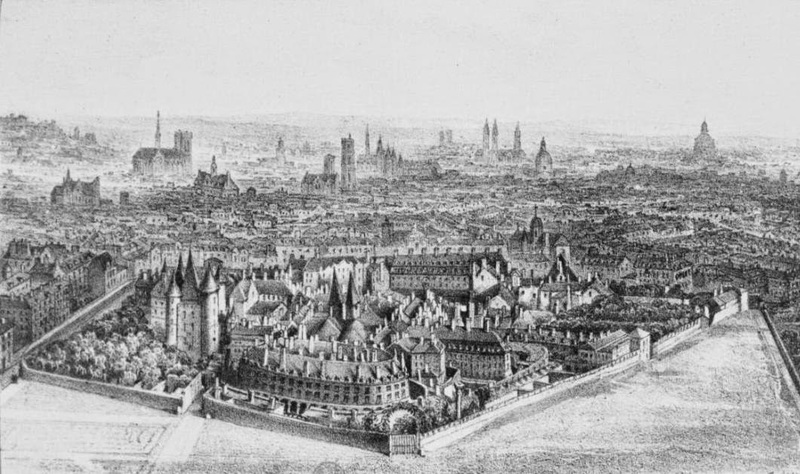 As a grandson of Henry IV and Gabrielle d'Estrées, Vendôme was a law unto himself - at least until his profligacy drove Louis XIV to have him exiled in 1706. The assembly of buildings enjoyed special legal status as a place of asylum and the police were debarred from entering. In the 18th century the enclosure embraced 400 souls. It was a refuge for debtors and freethinkers - and the sundry debauchees whom the exiled Grand Prior and his unexiled elder brother the duc, gathered around them. The duc died in Spain in 1712 but in 1715 on Louis's death, the Regent quickly recalled his friend Philippe de Vendôme and the parties at Le Temple continued. They centred on the apartments of the abbé Guillaume Amfrye de Chaulieu, a longstanding retainer, who, now in his seventies, brought a veneer of aesthetic respectability to the proceedings by celebrating them in accomplished verses. Chaulieu had became lessee of the house in the Temple in the 1680s and it had quickly become the preferred meeting place of his friends, who were mostly poets living on the favours of the great, and "grands seigneurs" who liked the company of poets. Personally acquainted and imbued with tenets of Epicurean philosophy, they had long met in taverns and at various private houses, notably that of Madame de Sablière - until she retired to a convent in 1680. Chaulieu's literary guests included at various times, Chapelle (d.1678), celebrated for his light verse and regarded by Chaulieu as his master, La Fontaine (d.1695), and - among survivors into the 18th century - the marquis La Fare (d.1711) , Nicolas Malézieux (d.1727), leading light of the court at Sceaux, the abbés de Châteauneuf (d.1707), Servien (d.1716) and Courtin (d.1739), plus the chevalier de Bouillon (d.1733), J.-B. Rousseau and of course Voltaire. 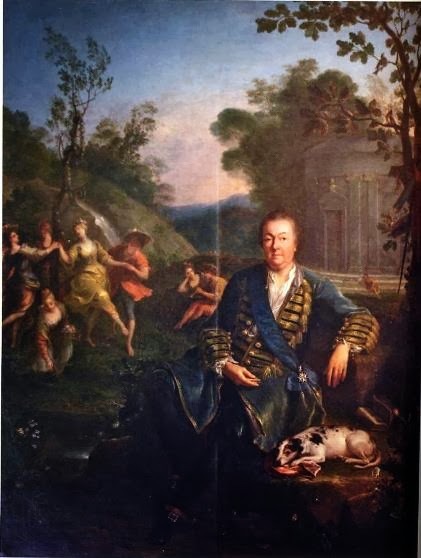 Chaulieu had been the Grand Prior's intendant which meant that he was nominally in control of the extravagant spending of the younger Vendôme, particularly at the Château d'Anet where he entertained lavishly. 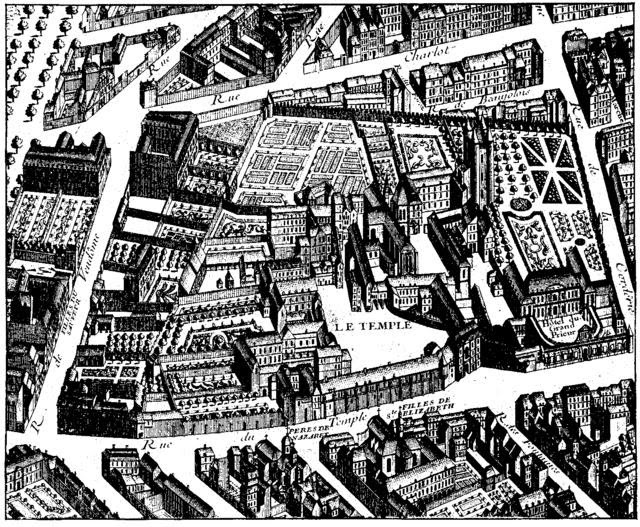 Chaulieu was relieved of this responsibility by the king in 1699 on account of the pressing need to put greater order into the Vendômes' finances. He was subsequently awarded pension of 6,000 livres, whilst his benefices brought him in 30,000 livres a year - more than enough to fund the life of carefree pleasure prescribed by the Epicurean ideal. Chalieu was smug, libidious and parasitic, but his hospitality offered a certain attractive freedom. At Chaulieu's house the atmosphere of free and intimate confidence was so well established that it was quite in order for La Fontaine to contradict the duc de Vendôme to his face. The président Henault describes pleasant suppers with free-flowing wine and song. The young Voltaire, introduced to the company by his godfather in 1708, recalling how impressed he had been to see these high-born subversives breaking wine glasses with their teeth. ( letter of 22nd July 1755) Despite Voltaire, despite the fact that the Vendômes were spendthrifts and that Saint-Simon describes them as degenerates, and also despite the fact that La Fare was an inveterate drunkard in his later years, Chaulieu and his companions probably did not regularly drink themselves under the table or turn the house into a brothel. The one meal Chaulieu himself describes in verse is a relatively moderate one, consisting chiefly of a leg of mutton and an omelette. As a poet, Chaulieu is remembered chiefly today for two poems which sing the praises of his Norman home at Fontenay near Les Andelys and which seem to anticipate late 18th-century pastoral reveries. The later of the two, written in 1707, is included in the Oxford book of French verse and was translated into English by Longfellow. Otherwise most of his verse is occasional, epistles interchanged with his friends or songs inspired by some supper-party, with a strong line in well-turned compliments. A whole group, the "Divertissement de Sceaux" are addressed flatteringly to the Duchesse du Maine and their mutual intimates - Malézieux, the abbé Genest and the duc de Nevers. In the Lettres philosophiques Voltaire describes a typically French phenomenon, "that indefinable being which is neither ecclesiastical nor secular - in a word, that which is called an abbé... young men, who are known for their debauchery and who have been raised to the prelacy by the plots of women, make love in public, divert themselves with the composing of sentimental songs, entertain daily with long and exquisite supper parties". We can recognise here several habitués of the Temple. There was, for instance, the abbé Servien, uncle of Voltaire's friend the duc de Sully. When someone complained that "ce bougre de prêtre" had trodden on his foot, he truthfully replied "Monsieur, I have not the honour to be a priest". He openly mocked the King at the Opera, and was exiled, then, in 1714, imprisoned. At the time Voltaire wrote an obsequous Epître à l'abbé Servien, prisonnier au château de Vincennes in which the three Graces weep the fate of "the tender abbé who has served them as a father". (Fargher, p.7) Years later, in the Dictionnaire philosophique, he simply relayed a discreditable anecdote: the duc de la Ferté, "to flatter the taste of the abbé Servien", had described to him the beauties of his son who had died aged fifteen. First Servien, and La Ferté himself, were reduced to tears - only then did the duc admit that he was lying and had never had a son! Servien died in 1716, surprised says Saint-Simon, "in the company of a male dancer of the Opera"
Slightly more appealing a character was the abbé François Courtin (1659-1739), who was given the abbey of Mont-Saint-Quentin when only nineteen years old; according to Saint-Simon, he "took orders because of sloth and debauchery". He appears in Chaulieu's verses chiefly as a purveyor of women and is variously described by Voltaire, who corresponded with him familiarly, as "heavy, fat, round and short" and as an "amiable glutton". Some of these worldly ecclesiastics went on to high office in the Church; the abbé de Caumartin became bishop of Vannes in 1717 and the.abbé de Bussy-Rabutin , described by the president Hénault as a gourmand and a connoisseur of fine conversation, in 1723 became bishop of Luçon and scourge of the Jansenists. 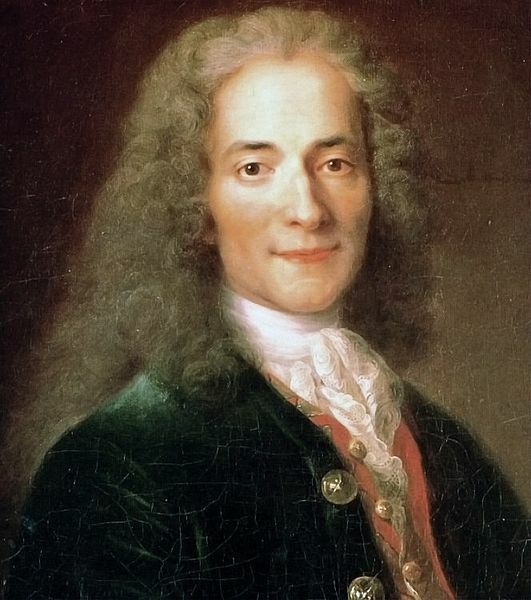 Chaulieu was seventy-two when Voltaire began to frequent his circle at the age of seventeen. He was flattered to be treated as an equal by this "Anacreon of the Temple" and by La Fare, whose poetry he knew by heart. In a letter of 1716 Voltaire, himself exiled to the estates of their mutual friend the duc de Sully, addresses Chaulieu as his master, recalls the help which Chaulieu, Bussy and Vendôme have given him with his tragedy Oedipe, and promises to follow Chaulieu's advice on how to regain favour with the Regent. Chaulieu for his part writes to Voltaire of "the sect of philosophers with whom you have had the goodness to associate me by your authority" The young poet's first significant "philosophical" work, the Epître à Uranie of about 1722, with its Epicurean deism, abolition of hell and stoic acceptance of death, is so similar in form and content to Chaulieu's verse that when it was published in 1732 Voltaire could convincingly pass it off as the abbé's own. On Chaulieu's death in 1720 Voltaire composed an Epître to the duc de Sully in which he laments the passing of an age: the loss to Parnassus is grave, for Chaulieu was the last survivor of "a century full of politesse". A final, more nuanced, verdict appears in the Temple du Goût; though not among the first of poets, Chalieu remains first among spontaneous and trivial versifiers, "les poètes négligés". J.S.Spink, French free-thought from Gassendi to Voltaire (Athlone Press, 1960), p.164-8 and Richard Fargher, Life and letters in France in the 18th century (OUP, 1970) [chapter on Chaulieu].